Litho, Colocraft Poster Co, Oklahoma, City 1973 - Poster. Card stock. Measuring 17" x 22". About near fine with a bit of general wear, small tide mark at one corner and some toning. 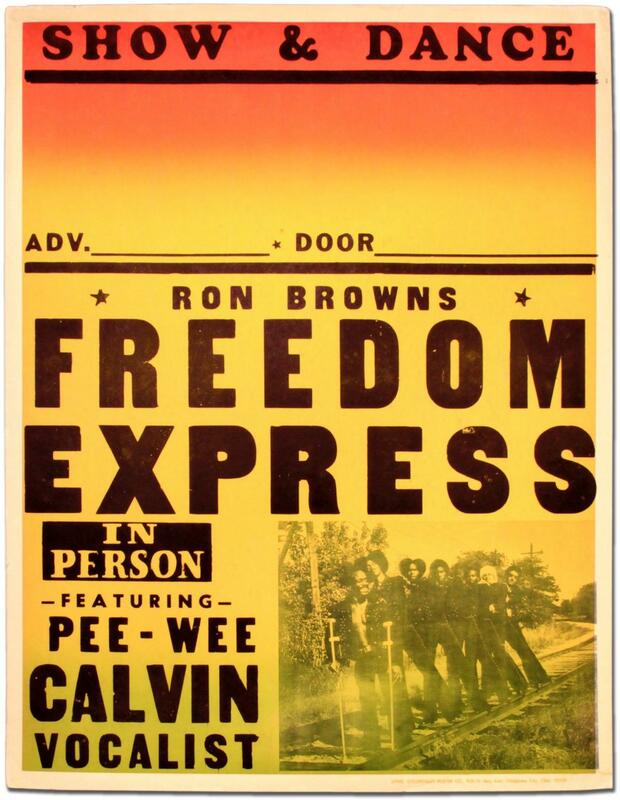 A boxing-styling poster for Freedom Express featuring lead vocals by Pee-Wee Calvin. Their only single "Get Down" was notable for its uses of a Moog synthesizer which has long made it a cult hit among club DJs leading to its a reissue in the last decade by Soul-Cal Records who called it "one of the 'missing links' between the hey-day of syncopated funk and the advent of disco."